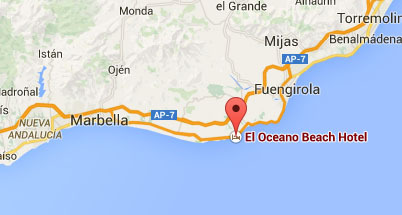 Job Opportunities at El Oceano Hotel & Restaurant, Mijas Costa. Are you awesome? Join us! Would you like to be part of the coast’s No.1 beachfront experience! We are occasionally seeking reliable, friendly people, ready to work as part of a fantastic team, in a number of areas of the business – pool bar, kitchen, housekeeping, front of house and restaurant. Full contracts and good pay. Our staff are important at El Oceano, we treat our team well and we expect a professional and committed people. If you are not familiar with El Oceano, we are known for our courteous and professional staff. Good service is at the heart of everything we do here and we believe we have a great team of conscientious people. If you would like to be part of the Coast’s most respected hotel and restaurant team, please complete the form below, attaching your current CV, or if you prefer, just send your details to info@oceanohotel.com. Please upload your CV here. Try to make it a .pdf if you can.